This Demonstration illustrates the central limit theorem for the continuous uniform distribution on an interval. 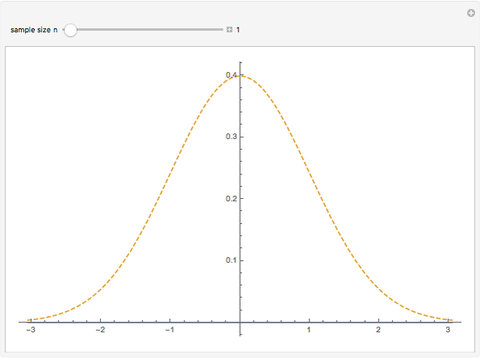 If has the uniform distribution on the interval and is the mean of an independent random sample of size from this distribution, then the central limit theorem says that the corresponding standardized distribution approaches the standard normal distribution as . 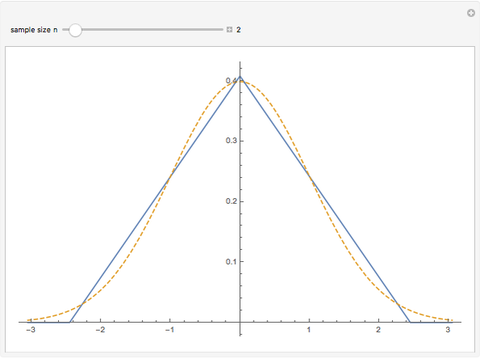 Using operations on the characteristic function of we can compute the PDF of more easily than we could directly. 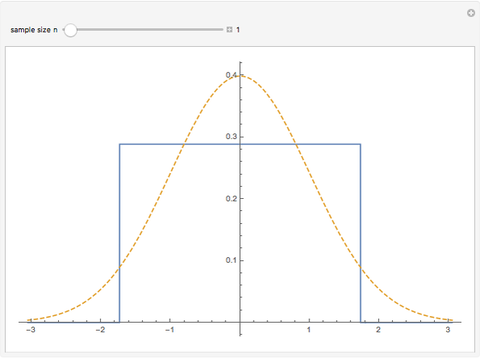 The blue curve is the PDF of and the dashed curve is the PDF of a standard normal distribution. If is the PDF of a random variable , then , , (the convolution of and ). This means that finding the PDF of involves computing the -fold convolution of with itself, a computationally intensive operation to do directly even for small and simple PDF functions. This can be made easier in some cases by using the convolution property of Fourier transforms, , and the observation that the characteristic function of is the same as the Fourier transform , which means that can be computed by rescaling the inverse Fourier Transform of . For the uniform distribution, this lets us compute the distribution for much more quickly than we could directly, though it is still a little slow for larger . David K. Watson "Central Limit Theorem for the Continuous Uniform Distribution"